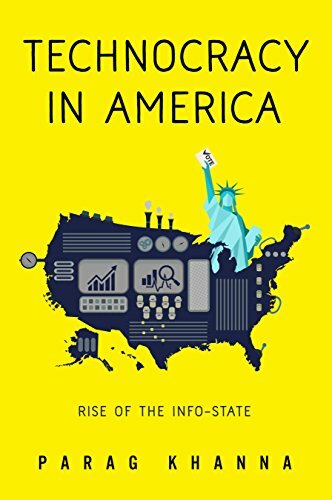 Kirkus Reviews: "Technocracy in America"
A radical reappraisal of democracy and its decline in the United States. After a historically acrimonious presidential election, there’s been much hand-wringing about the health of American democracy on both sides of the ideological divide, and consternation over a general lack of adequate political representation. Khanna (Connectography, 2016, etc. ), a senior fellow at the Lee Kuan Yew School of Public Policy at the National University of Singapore, argues that American democracy has become indefensibly dysfunctional, and that it’s eroding the public’s trust in its chief institutions. The real goal, the author contends, should be a combination of meaningful representation with effective governance—one that requires a diminishment of democracy in favor of technocratic stewardship: “In western thought, a deep complacency has set in that confuses politics with governance, democracy with delivery, process with outcomes,” he notes. 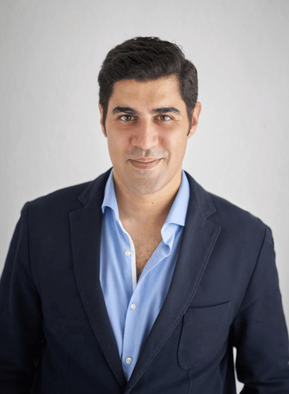 “But the ‘will of the people’ is not just to repeat their desires over and over without results.” Khanna recommends a combination of democracy and meritocratic rule—“direct technocracy”—which would chasten the demands of an often myopic public with the long-term judgment of the nation’s “best and brightest.” The author’s model for direct democracy is Switzerland’s, while his exemplar of technocratic oversight is Singapore’s, and he ably discusses both. Philosophically speaking, a combination of the two, he says, would encourage utilitarian outcomes that would ultimately generate the broadest benefits for the greatest number of people. The author provocatively offers a laundry list of governmental innovations to this end; the most notable and ambitious include the leadership of an executive committee instead of a single president; 10-year-terms for U.S. Supreme Court justices; and the replacement of the U.S. Senate with a “Governors Assembly.” Khanna’s judgments are sometimes peremptory and strident; for instance, he assumes, without argument, that Brexit is a “debacle” that represents “the triumph of politics over rationality.” Also, he asserts, when discussing the executive branch, that “Seven heads are better than one, period,” without referring to Alexander Hamilton’s arguments for a unified executive branch. Still, this book remains a powerful stimulant to a more searching discussion of the virtues and vices of American democracy, and it deftly combines philosophical discussion with concrete political analysis. A refreshingly original contribution to the ongoing analysis of the American political system.